When you think of fruit and pair it with summer, the vivid hue of cooling-watermelon usually comes to mind. But, watermelon isn’t just another pretty face; it’s ultra-hydrating, low calorie and packed with vitamins A and C. While chomping on pink slices and spitting out seeds isn’t for everyone, sipping watermelon sure is. 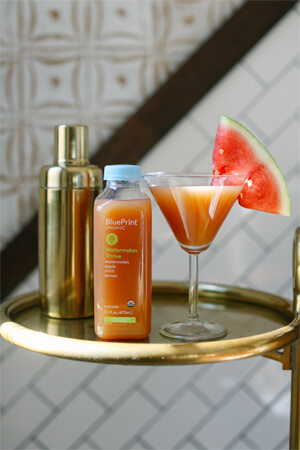 BluePrint is the original organic juice brand and they’ve brought back Watermelon Thrive packed with 100% organic watermelon, apple, lemon and mint juices just in time for the sweltering summer months. You can find Watermelon Thrive exclusively during the summer months on BluePrint.com, at Whole Foods Markets and specialty stores nationwide. 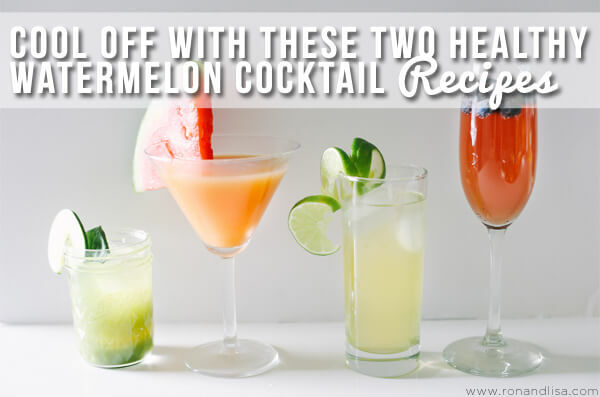 Sip this beverage solo as a mocktail or mixed into these two creative cocktail recipes below for a healthy twist on your backyard barbeque or sunset soiree. Directions: Add all ingredients to tin and shake. Double strain into a chilled coupe or martini glass. Garnish with lemon wheel and cilantro sprig. Directions: Muddle fresh mint in cocktail shaker. Pour liquid ingredients into shaker with Ice. Shake & pour into a wine glass. Garnish with fresh mint and a watermelon slice.